The Case for Open Space explores the benefits of private sector involvement in creating, maintaining, operating, and programming parks and open space—ranging from enhanced returns on investment for developers that include open space in their projects to improved community health outcomes. JLP+D President James Lima was one of the three authors of the report who serve on the Urban Land Institute Sustainable Development Council. Lima presented the case at the 2018 National Recreation and Park Association (NRPA) Annual Conference and the 2018 ULI Fall Meetings in Boston. Drawing on diverse cases from across the country, this report provides a range of ideas and innovations for owners and real estate developers as they consider whether and how to invest in the public realm. The study points to a winning formula: when undertaken thoughtfully, the creation of privately owned or operated, community-accessible open spaces can provide equitable access to resources, strengthen communities, reduce execution risk, and contribute to a solid bottom line for real estate investment. 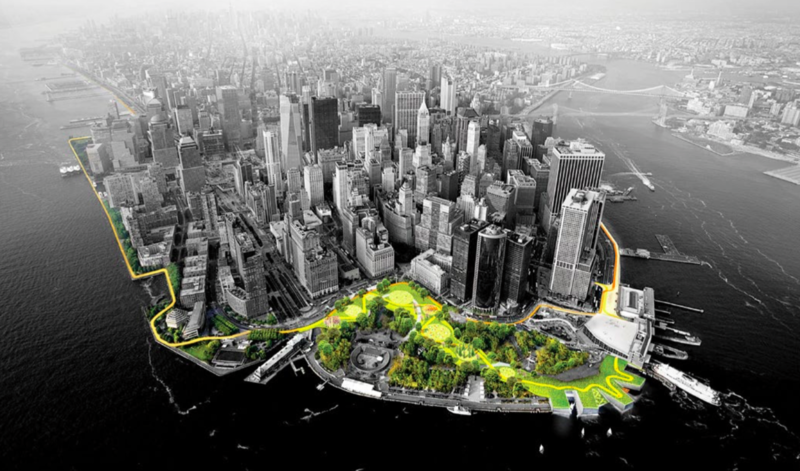 Overlaying a new connective network of “social infrastructure” on top of new waterfront resiliency infrastructure, the BIG U is an ambitious, award-winning flood protective system encompassing ten miles of Lower Manhattan waterfront. The system not only shields the city against floods and stormwater; it provides social and environmental benefits to the community, makes important connections among community assets, and fosters an improved public realm. Making the case for TOD and a revenue capture district. 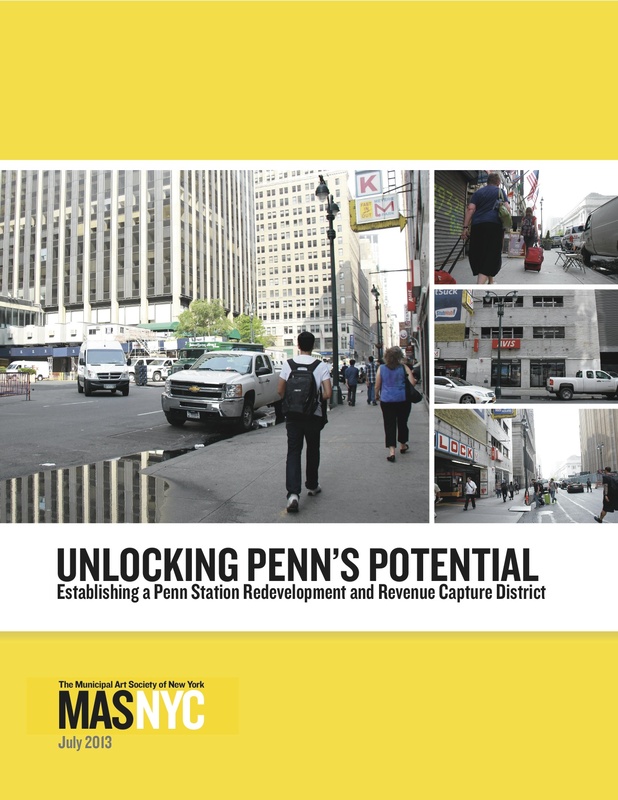 For a report produced on behalf of the Municipal Art Society, JLP+D, with Encher Consulting, quantified the benefits of a reimagined Pennsylvania Station transit hub and district rezoning plan by identifying the boundaries of a potential value capture district and then calculating the commercial and residential redevelopment potential of "soft sites" within walking distance of Penn Station. The team then projected the district assessment revenues that could be captured from those large-scale development projects to help fund critically needed infrastructure improvements to the massive Penn Station complex, the largest transportation hub in the Western Hemisphere. Real estate strategy, creative programming. Setting the stage for placemaking and financially sustaining new uses in a world-class and distinctly urban urban national park, JLP+D provided advisory services for programming, economic strategies, and public-private partnerships in real estate development to continue the Presidio’s transformation from a 1,500-acre former military base to a public space to a vibrant, richly programmed national park and cultural destination. A financial and market analysis. 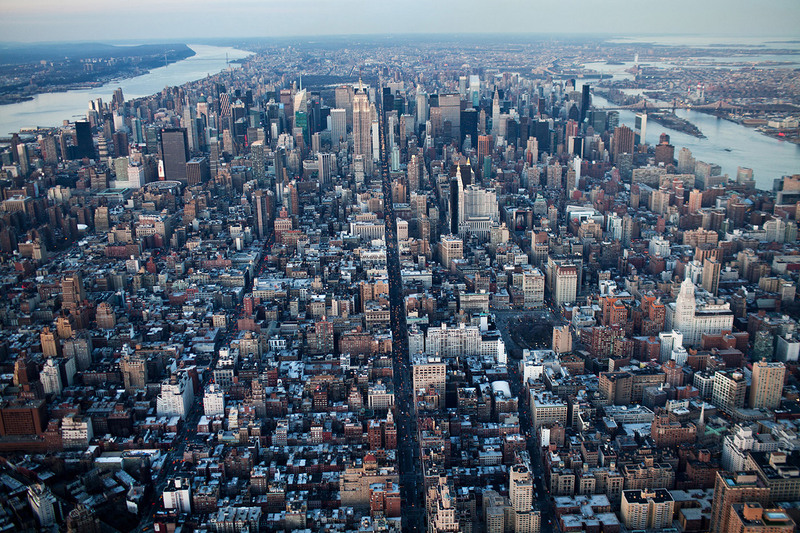 On behalf New York City's housing and planning agencies, JLP+D supported a team of economists and real estate financial analysts to evaluate the feasibility of a proposed Mandatory Inclusionary Housing program in NYC. The study explores impact by area market rents and unit sale prices, maximum allowable floor area ratio, and construction type. James Lima led the outreach and consultation process with a wide range of NYC residential real estate developers, housing not-for-profit groups, and industry and civic organizations. Strengthening local community assets and unlocking value. 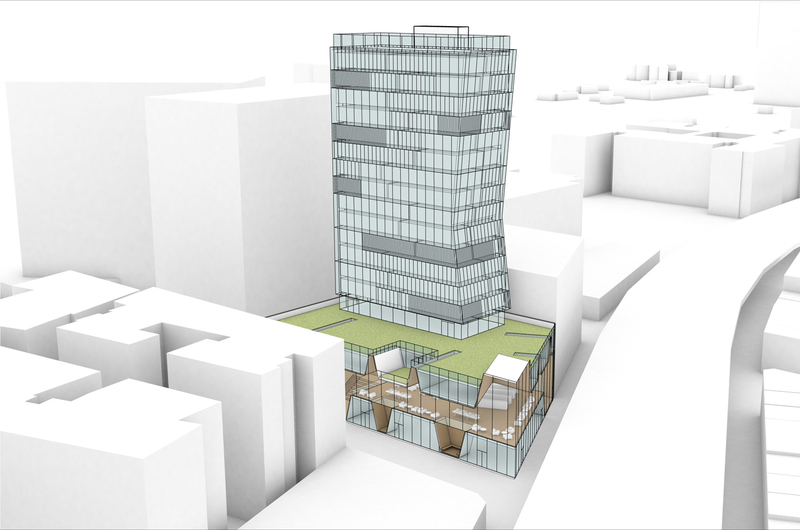 In partnership with Marble Fairbanks Architects and Leah Meisterlin, JLP+D was selected to participate in Re-envisioning Branch Libraries, a study sponsored by the Center for an Urban Future and the Architectural League of New York. The study proposed new programmatic, financial, and architectural possibilities for supporting New York City libraries and the vital services they provide. The project developed new methods for resource allocation by NYC's library systems, utilizing a relational data tool that layers demographic, fiscal, and other data sets. This relational data tool helps visualize and balance priorities to strengthen the libraries in the face of changing capital needs, neighborhood growth, demographic changes, and resiliency efforts. The team performed a rigorous analysis of neighborhood, zoning, and building-level data contextualized in an overall understanding of political and stakeholder interests to tap underutilized sites that could serve as community hubs and resource access points. Repositioning outdated public facilities for new markets and needs. JLP+D was part of an interdisciplinary team engaged to recommend redevelopment scenarios for 75 acres of underutilized property on the Creedmoor Psychiatric Center campus in Queens Village, NY. The team prepared a market scan and a development and infrastructure feasibility assessment, and performed community and elected official outreach, to develop multiple redevelopment scenarios that achieve a range of public objectives and which had varying time-and-money implications for implementation, with an emphasis on maximizing economic impact and creating new, high-quality housing. James Lima Planning + Development was retained to prepare an expert report and provide expert witness testimony for a real property-related litigation matter between two of the largest property owners in New York City. 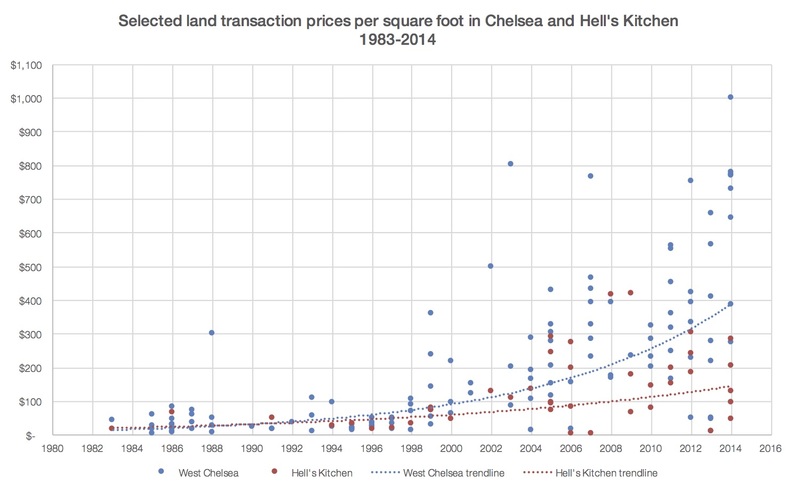 The report collected and analyzed data regarding the assessed real estate value of a particular full city block site on Manhattan’s Far West Side over a thirty year period, and did so in the context of three decades of largely publicly-sponsored economic revitalization investments and initiatives in the area. The report compared the changes in the subject property’s assessed value to those of several other highly comparable properties within other areas of the West Side of Manhattan in order to demonstrate the unique positive impact on private property values of various targeted public programs. The unusually large size of the parcel, and its history as a site of heavy industrial use and resulting contamination, presented unique challenges in finding market comparables and for setting up a controlled comparative analysis for the report. This required a rigorous approach to original research and the need to seek out multiple private, proprietary real property datasets that strengthened the report’s trends analysis. JLP+D worked with New York metropolitan area real estate associations, appraisal firms, and real estate brokerages to compile the most complete database of comparable properties and valuations possible. This iterative process produced estimated market valuations for the disputed parcel at several points in time that could be compared to valuations of parcels with similar attributes. The significant increase in valuation of the subject parcel was compared to a timeline of public investments in infrastructure and amenities and regulatory actions that repositioned its neighborhood and the economic value of the site over a period of decades. The matter was adjudicated in JLP+D’s client’s favor. Identifying feasible community development opportunities. 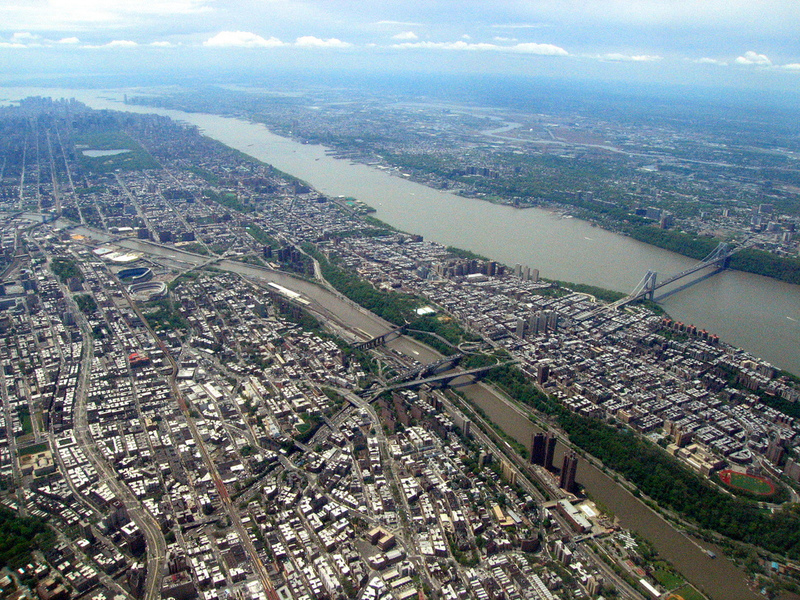 JLP+D helped to lead a community-driven effort on the Bronx waterfront to identify economically viable opportunities for brownfield redevelopment, including new public access and recreation opportunities and new affordable and mixed-income housing, commercial, and other uses that meet local area needs. JLP+D created an updated community profile and market scan, generated market-based redevelopment scenarios, researched railroad rights of way and other property ownership records, and delivered a comprehensive inventory of property ownership and development rights information. Redevelopment within the study area targeted currently vacant, underutilized, and/or contaminated sites. Waterfront district planning for a former brownfield. James Lima Planning + Design provided strategic planning, economic and real estate advisory services to the City of Mississauga to prepare a master plan for an 85-acre former industrial brownfield site on Lake Ontario, and conducted a peer review on an adjacent 15-acre mixed-use waterfront development proposal. JLP+D researched and synthesized market and economic data for the greater Toronto area, and prepared projections for future development potential based on demand analyses and a range of possible transit improvements, to inform Port Credit’s plans to both preserve its historic lakefront village character and to accommodate future growth. JLP+D also prepared multiple redevelopment scenarios, decision matrices, and a phased implementation strategy. Crafting an ambitious park enhancing, revenue-generating program in Minneapolis. JLP+D worked with SCAPE Landscape Architecture and Rogers Partners Architects on a conceptual plan for Water Works, an ambitious new central waterfront park in downtown Minneapolis. The plan, with its connections to the adjacent downtown and historic industrial districts, envisions Water Works park as an amenity for local residents and downtown workers and as an important visitor attraction. JLP+D led the team’s work to identify local and regional market demand, establish a program of uses that is complementary to its downtown context, identify prospective concession operators, and recommend terms of a potential concession agreement. JLP+D identified the regulatory parameters within which to consider capital funding options, as well as a range and scale of revenue generation opportunities to provide ongoing maintenance and operational funding. With SCAPE and Rogers Partners, James Lima communicated the numerous public benefits of these park elements in public meetings. Setting the stage for smart growth in the suburbs. JLP+D, in partnership with the Regional Plan Association, is providing a range of ongoing services to the Suffolk County Industrial Development Agency/Economic Development Corporation to support the County’s priority initiatives to promote transit-oriented development and smart economic growth within Suffolk County. Specifically, JLP+D’s efforts have included market and development feasibility, identifying implementation strategies for economic development in tandem with transit, transportation, and public realm investments. JLP+D is part of a core team currently updating the Village of Nyack’s, New York's Comprehensive Plan, including a number of waterfront, residential, and downtown neighborhoods facing unprecedented development pressures. 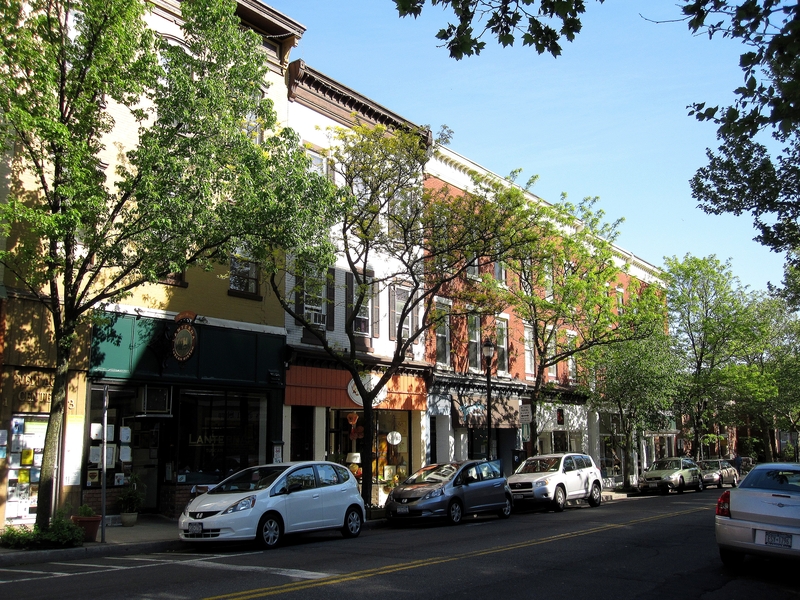 As part of an interdisciplinary team, JLP+D is advising on socioeconomic and housing trends and growth strategies, bringing an economic and real estate perspective to the analysis of development sites in Nyack’s downtown and waterfront areas and identifying strategies to strengthen the village’s retail and business core. The firm’s work includes engaging local business owners and stakeholders to identify local economic development potential and the investment in infrastructure, public realm improvements, institutional expansion. Analyzing demographic and market trends, JLP+D has sought to locate the downtown and waterfront districts within their regional context, and identify the catalytic role of new investments and potential targeted development opportunities. An assessment of opportunities for business growth, job creation, affordable housing, and public/private development structures is informed by the firm’s familiarity with public incentive and financing programs available to help implement such initiatives, and effective implementation and governance structures. 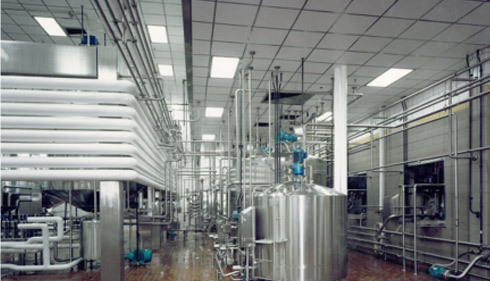 An innovation hub for R&D and food manufacturing. James Lima Planning + Development was engaged by Steuben Foods to help reposition its existing high-tech food manufacturing campus into a next-generation anchor of food science and innovation in New York State. The JLP+D team crafted a plan for Steuben to invest in an expanded pilot plant and food technology partnership center while rationalizing and downsizing more traditional manufacturing processing. The JLP+D team helped to secure a significant allocation of New York State tax credits for new investment and job growth for the Steuben Innovation Center, recognizing the potential to establish a food science and innovation cluster in partnership with leading research institutions such as Cornell University, the University at Buffalo, and City University of New York’s York College. A cultural placemaking and economic development strategy. 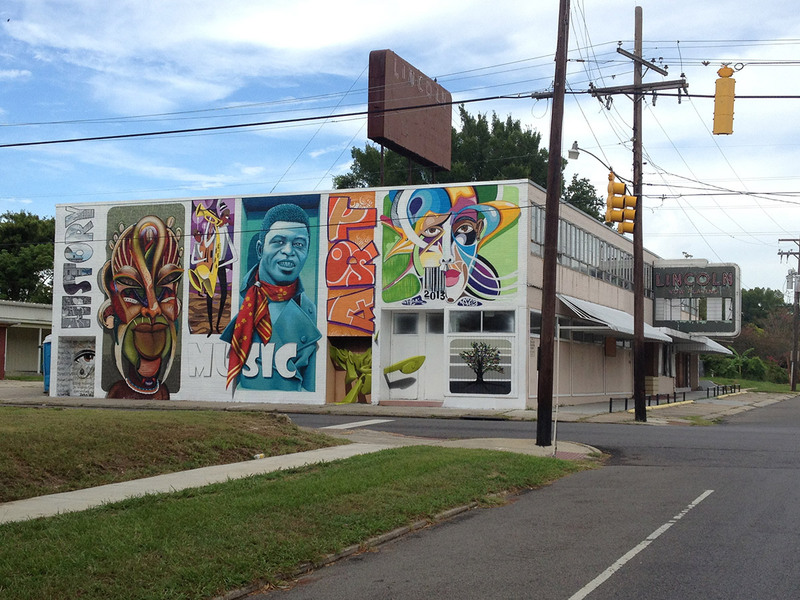 JLP+D, as part of an interdisciplinary team, prepared an implementation strategy which uses the arts as a tool for regenerative economic development in the Old South Baton Rouge. By preserving the community’s cultural heritage while providing resources for economic and quality of life investments, the project will build on revitalization efforts already underway. JLP+D provided community outreach and strategic planning and real estate development advisory services to the team to identify transformative public realm investments, programming to bring new visitors to the area, and opportunities for public-private partnerships in mixed-use, mixed-income development to strengthen the economic base of this underserved community. 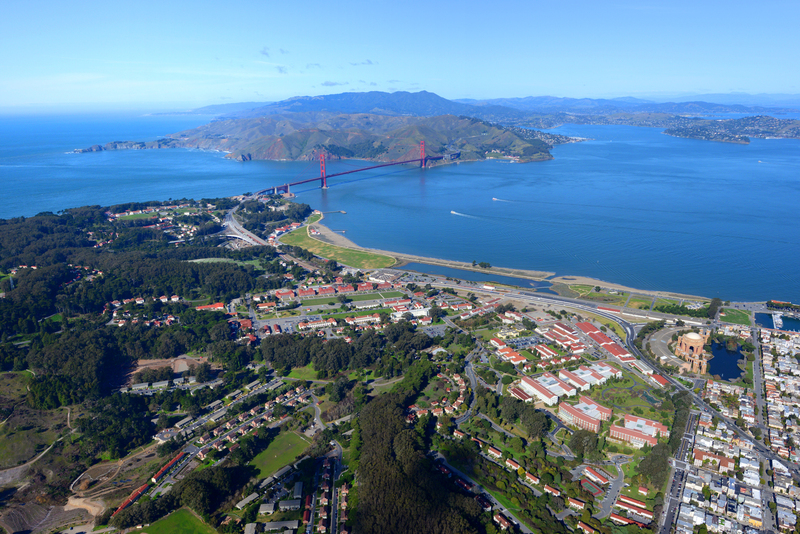 Reaching beyond the institution to create a new knowledge economy district. JLP+D was part of an interdisciplinary team of architects, urban designers, engineers, and ecologists to initiate a master planning process for the Water Institute of the Gulf, an ambitious new global hub and center of leadership in the field of coastal protection and water resource management. The consultant team engaged a broad array of stakeholders to develop the program, scope, aspiration, and vision of the Water Institute campus, emphasizing the need to plan beyond a site plan for the Water Institute facilities themselves. The resulting concept is a transformative and sustainable new economic development model centered around a new “Knowledge District” anchored by the internationally recognized Water Institute. 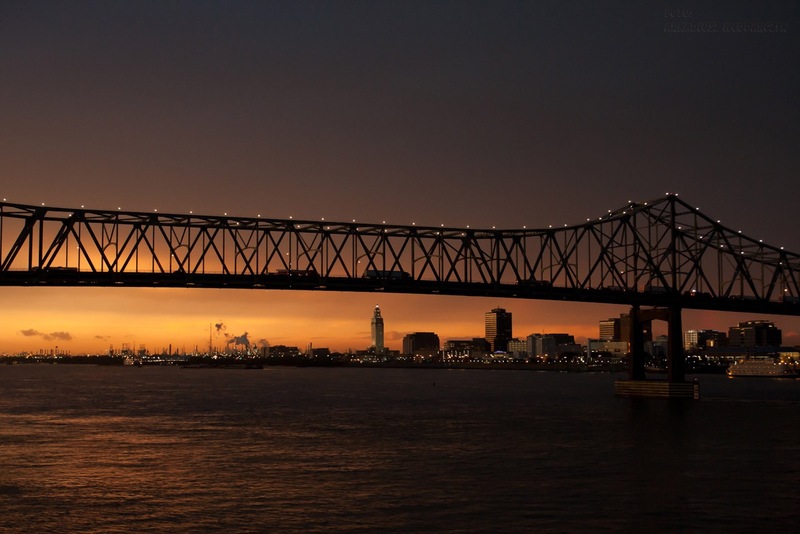 Further, it is anticipated that the Water Institute campus will spur new private investment in mixed-use higher density development and bridge the two major economic drivers of Baton Rouge, Downtown and the LSU campus. Creative programming establishes a new waterfront destination and innovation hub. James Lima led developer Youngwoo & Associates’ successful efforts to secure designation as redeveloper of Pier 57 in Manhattan’s Hudson River Park through a highly competitive Request for Proposals (RFP) process. James Lima was actively engaged in developing an innovative new program of uses for the pier, managed the developer’s multidisciplinary team through the RFP bidding process, oversaw the drafting of the response to the RFP, provided historic preservation and tax credit financing recommendations, and led stakeholder outreach and project marketing. 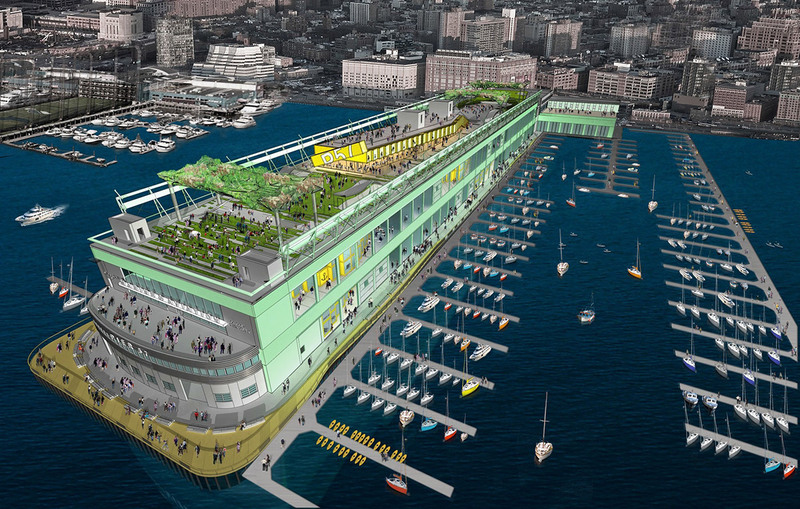 The historic 480,000 square foot former passenger ship terminal – listed on the National Register of Historic Places – is slated to contain a 155,000 SF public market to be operated by celebrity chef Anthony Bourdain, 250,000 square feet of office space to be occupied by Google, and a major expansion of waterfront public park space, including a dramatic rooftop park venue incorporating programming by the Tribeca Film Festival and "beach club" operated by renowned hotelier André Balazs. Establishing a civic waterfront and expanding the CBD. As part of the winning team for the Dallas Connected City Design Challenge, JLP+D collaborated on Hyper Density Hyper Landscape, a design proposal for three new neighborhoods with new cultural attractions, transportation infrastructure, and public spaces on 176 acres of underutilized land near downtown Dallas. The design connects two essential Dallas assets - the Trinity River Corridor and a revitalizing urban core - and incorporates high-density mixed-use development with lush green spaces and natural features. JLP+D provided industry sector growth projections, real estate and economic analysis, and programming and project phasing recommendations. By proposing vibrant new neighborhoods and resilient ecological features on underutilized urban land and among disconnected investment nodes, the plan builds on development momentum, strengthens connections between downtown’s best assets, and reinforces the relationship between the vibrant city life and the unique natural heritage of Dallas. JLP+D was part of an interdisciplinary team led by SCAPE Landscape Architecture which won the international design competition to revive Town Branch, a 1.5-mile long underground waterway that runs through the heart of downtown Lexington, KY. Reviving Town Branch forms a legible public space network that offers new ways to live, work, and play within the city. JLP+D worked closely with landscape and urban designers to identify potential new real estate development opportunities that could organize around a vibrant new downtown public realm, and provide sustained funding support for parks operations and maintenance. JLP+D recommended locations for activating street and park edges with retail and other ground-level uses, taking into account market demand and other locational criteria.